Halloween is just around the corner and Google have revealed the most searched Halloween costumes of 2017. Google just revealed the most searched Halloween costume on the internet. Yippee, those who haven’t bought the costumes yet should definitely check here what’s is the most trending Halloween costume of this year. The second popular Halloween costume people looking for is DC’s Harley Quinn. The clown from ‘It’ movie is also ranked as popular costume followed by Unicorn, Witch, Zombie and Rabbit. 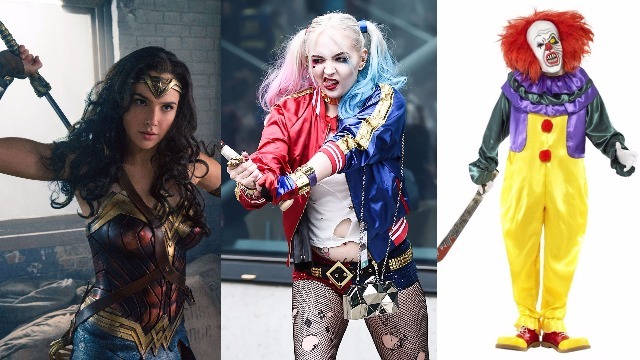 Not surprised that Wonder Woman leads the Halloween costume but, we are shocked that Stephen King’s pennywise from ‘It’ is not topping which we thought it would be. Previous : What’s Your Reaction If Anushka Sharma, Virat Kohli Tie Knot in December This Year? Next : Sussanne Khan’s Birthday Party: Hrithik Roshan, Twinkle Khanna And Others Party Hard!